If you are looking for a creative alternative to meatballs that’s not just delicious, but truly deep in taste, flavor, and richness, you just found it! I love to include smoked tofu in all sorts of dishes, as it just adds this ‘umami’ feeling to a dish that meat eaters often miss in plant-based meals. These savory tofu-potato balls are yummy, satisfying, indulgent, and I can personally eat them for breakfast, lunch and dinner – they’re really hard to get enough of! 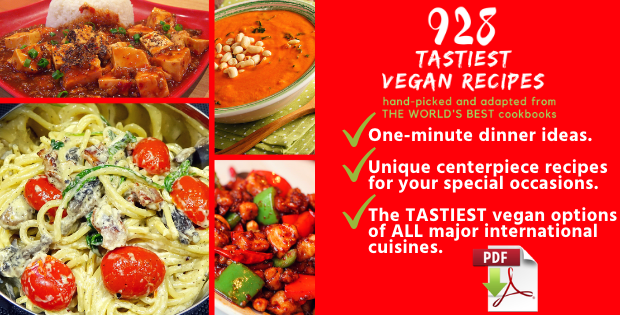 This delicious dish is one of 808 Best Vegan Recipes, some of which I am sharing here for free. Don’t miss the chance to get your hands on this one-of-a-kind cookbook at 50% off! Cook the potatoes until tender, then cool, peel and mash. Mash the tofu. 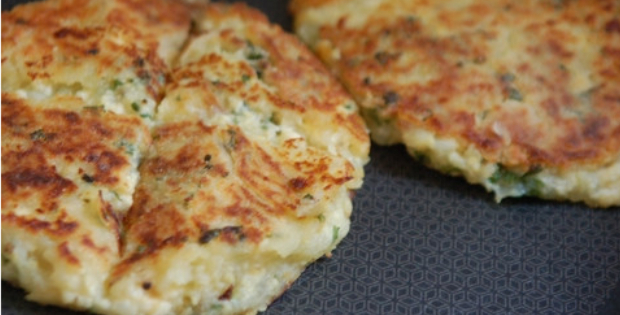 Combine the mashed potato, tofu, parsley, onion and pepper, and form into patties. Dip them lightly on both sides in the flour. Shallow fry the cakes on both sides until nicely browned.